Blackboard Operations has resolved the issues impacting the Grade Center. We have tested this resolution and are no longer receiving errors. Please clear your browsing history prior to logging in to Blackboard to ensure that any cached errors are removed. Read how to clear your browser history. If you encounter other issues, please contact the Center for Distance Education at cdesupport@uta.edu. Due to grade issues in Blackboard, the drop deadline for the Nov. 7 five-week start date courses will be extended to 4 p.m. Friday, Dec. 2. Please contact your major adviser with any questions. Broadcast students are part of a unique partnership with Univision 23, a Spanish-language television station in Dallas-Fort Worth. 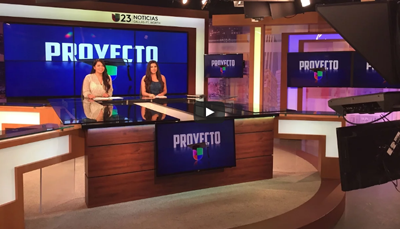 The partnership, called Proyecto U, allows students to spend the fall semester producing four newscasts for the station—three taped shows and one live broadcast. The students gain live TV news experience in the nation’s fifth largest news market. WATCH THE VIDEO. The Central Library is offering study and stress relief tips to help you tackle your finals. The Writing Center's late hours are 8-10 p.m. today, Tuesday, Nov. 29, on the second floor. A workshop on study tips and cramming effectively is 2-3 p.m. Thursday, Dec. 1, in Room B20. Got test anxiety? Attend a workshop noon-1 p.m. Friday, Dec. 2, in Room 315A. Relax with a meditation session 3:30-4:30 p.m. Monday Dec. 5, in Room 203. Paws for Finals therapy dog visits are noon-2 p.m. in the basement Monday-Friday, Dec. 5-9, and Monday-Wednesday, Dec. 12-14. Watch for large trucks going to and leaving the construction site for the Science and Engineering Innovation and Research building. The trucks will haul away asphalt and dirt from the site through the end of December. 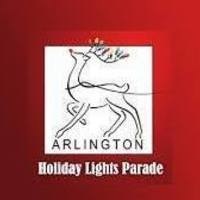 The trucks will come to the site southbound on South Center Street, westbound on West Mitchell Street, and northbound on South Cooper Street to South Nedderman Drive. After being filled, the trucks will head northbound on Cooper to Interstate 30. The Big Event—UTA's day of community service Saturday, April 8—needs site leaders. Apply online.